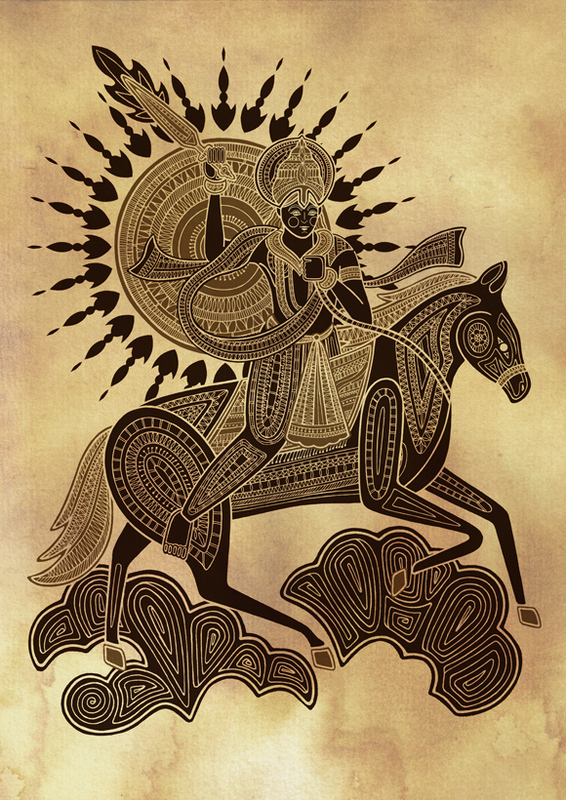 In Hinduism, Kalki is the tenth and final avatar of the God Vishnu in the current Mahayuga, foretold to appear at the end of Kali Yuga, the current epoch. 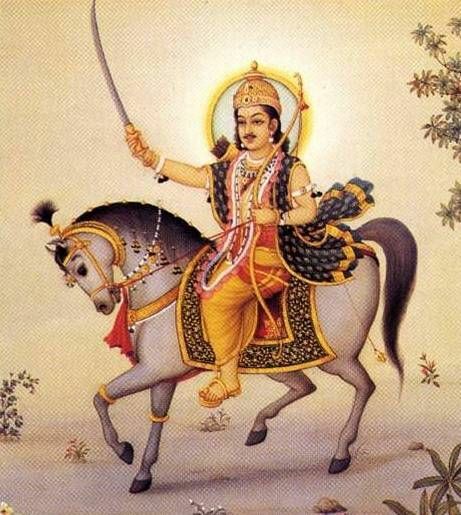 The Purana scriptures foretell that Kalki will be atop a white horse with a drawn blazing sword. He is the harbinger of the end time in Hindu eschatology, after which he will usher in Satya Yuga. शम्भु Shambhu (Shiv Shambhu Bhola) + ल or ले (of) + ग्राम Grama (Community/Village) + मुख्यस्य Mukhyasya (Principally) + ब्राह्मणस्य Brahmanasya (of the Brahmins) + महात्मनः Maha Atman (Great Souls) The Chief Holy Brahmin (Priest) of the Village – ‘Shambhal’. In the future at the home of the aforementioned – Vishnuyashasa, ‘Destroyer of Evil’ will arise/be born. This points to a name equivalent to mud or sediment born. One of the earliest mentions of Kalki is in the Vishnu Purana, dated to after the Gupta Empire. The Agni Purana, one of the earliest Puranas to describe Buddha as an avatar, also describes Kalki and the end time. It draws heavily upon the Vishnu Purana in content. The Kalki Purana, a minor scripture by comparison, has the most detailed descriptions of Kalki. Vishnuyasha refers to the father of Kalki as a devotee of Vishnu while Sumati refers to His mother in Shambhala. 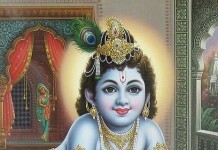 Also it is written in Kalki Purana that he will have four brothers who are Sumanta, Prajna and Kavi. Parashurama, the sixth avatar of Vishnu is a Chiranjivi (immortal) and in scripture is believed to be alive, waiting for the return of Kalki. 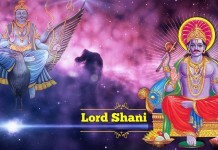 He will be a martial preceptor of Kalki, teaching him military science, warfare arts and instructing him in the performance of a severe penance in order to receive celestial weaponry. The purana also relates that Hari, will then give up the form of Kalki, return to heaven and the Krita or Satya Yuga will return as before. Padma will be the consort of the avatar, as written in the Kalki Purana. The beloved of Kalki who is incarnation of Lakshmi lives at द्वीप dwīpa (island) सिंहले Simhalē (सिंह simha (Lion) + ले lē(of))= “the island of the lion”(1:3:9). Lion City island. It is believed that the origin of Kalki will be in India on banks of river Ganges. Kalki can only be the one whose Birthday/Tithi falls on Dvadasi of Sukla Paksha. This amounts to just 12 days per any given year furthermore as it can only be the day of the Lord Sri Maha Vishnu (Chaitra Dwadashi) this amounts to just one day each year or 100 days in the last century. Chanting this mantra of Kalki removes tragedies and disasters depicted for Kali Yuga. It is best to chant this mantra on Ekadasi thithi and Saturdays. 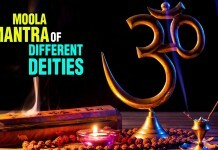 One can recite this mantra for 11, 108, or 1008 times.